If you dream of escaping to a tropical paradise, why not dream about it every night? Now, you can. Our bed and bath accessories will help make your life more fun. And last we checked, isn't that what life should be? (Secret answer: Yes. Of course.) 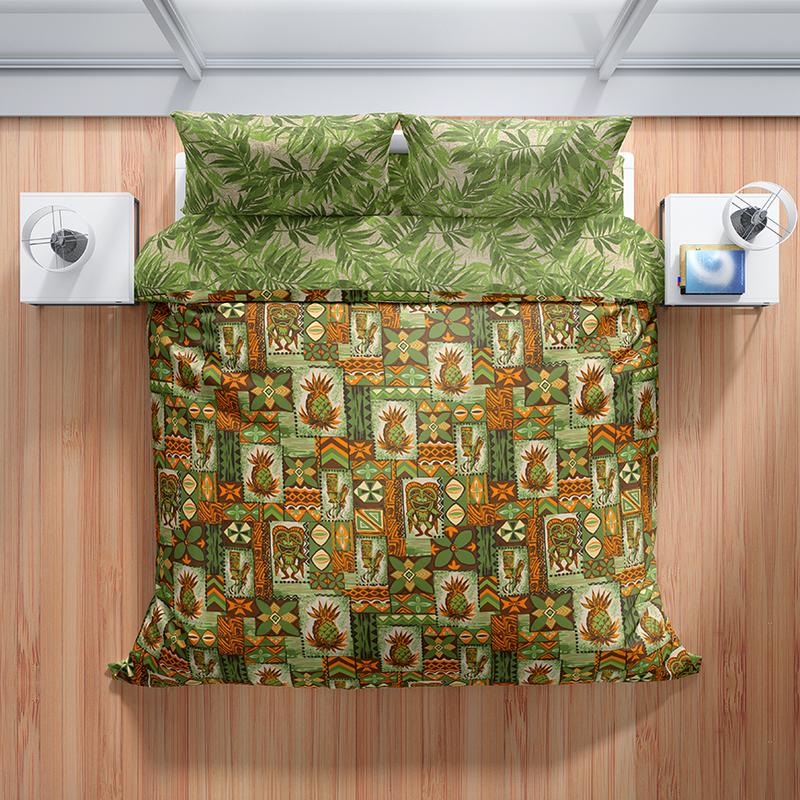 So cozy up in a Hawaiian print duvet cover for your bed. Brighten up your bathroom with our colorful bath mats, shower curtains and accessories. And add a little splash of aloha with our tropic-themed rugs. Want matching sheets? Now through our Spoonflower Roostery store (or click the image above), we are offering duvet covers, blankets, sheets, pillows shams and decorative pillows. Just click an image below to plan your escape to the tropics. There. That was easy. Sign up for Hawaiian Decor email updates and special offers. Mahalo! We will keep you posted on special offers and announcements. We promise not to spam you. ©2018 Drive Industries Design Group. All rights reserved.